Can You Dribble the Soccer Ball Like a Pro? You’ve seen this before on the soccer field: A player gets the ball and gracefully weaves in and out of three or four players before cutting the ball back one more time to bend the ball into the far corner and score a goal. The soccer ball tethered to their foot the entire time. Think Lionel Messi's dribbling run against Getafe, which was very similar to Maradona's run against England in the 1986 World Cup. You don’t get soccer dribbling skills like that with luck. It takes talent, technique, and dedication. In other words, practice, practice, and more practice. It means spending time with the ball on your own. It means being able to keep your head up slightly as you dribble the ball so you can see the field. It means being able to dribble at a slow pace and then explode past a defender with speed. It means dribbling in and out of a set of cones until you can do it in your sleep. Pep Guardiola explained his approach, ‘My first question is always, “Can this guy dribble?” I only want players who have that skill so that’s always what I look at. I want full backs and central defenders and midfielders and inside forwards and winger who can dribble. Because you can learn control and good passing…So, yeah, dribbling, that’s the key." 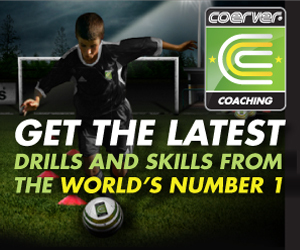 Here's a selection of some of the best soccer dribbling moves in the game. Also, watch Ryan Giggs teach young Manchester United Academy players how to take players on and put defenders off balance. Getty Images: Lionel Messi on the dribble against Inter Milan. First off though, the best dribblers of the ball, like Messi, touch the ball with every step they take, this way they can cut in any direction at anytime. That's the key to becoming a great dribbler of the ball in soccer. It's only when you're able to dribble the ball with every step and cut the ball to either side should you look at trying some of the soccer moves below. And this also means being able to dribble comfortably with both feet. Some of best dribblers in the world don't even necessarily have moves or tricks, they just have such incredible control of the ball that they can cut the ball away from defenders when they try to take it. So, once you've mastered the fundamentals of dribbling the soccer ball, and as long as you're able to dribble at speed with the ball and keep it close to you, then you can proceed to the advanced set of soccer moves and tricks that are outlined below. Take a look at this list of soccer moves and add them to your game if they're not part of it already. 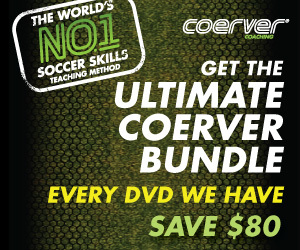 Actually, don't just add them to your package of skills and dribbling moves, perfect them! This move is often called the 'elatico' or the 'flip-flap'. Basically in one motion, Ronaldinho moves the ball with the outside of his foot to the outside and then quickly flips the ball back with the inside of his foot. The idea is to wrap your foot around the ball. Try standing on your left foot and flip flapping the ball with your right foot. Once you've got this down see if you can fake out an defender with this move. Instead of putting your foot over the ball like in the step over move, with the lunge you swing your foot just in front of the ball to the outside. Fake like your going to the left by lunging with your left foot to the left and then take the ball away with the outside of your right foot to the right. With this move you're basically doing a step over in front of the ball. Use your shoulders to sell the move, dropping your shoulder and lean to the side you're faking to. This time you lunge with your left foot to the left side and then lunge with your right foot to the right side and finally take the ball away with the outside of your left foot. It's just a double fake and it's almost like you're skating in front of the ball. This is more of a training or practice drill, not necessarily a move. It's more of a training exercise that helps you work on your inside of the foot control, especially for turning. Play the ball with the inside of your foot behind you adn then make a half turn and flick the ball with the outside of your other foot. Watch Aiden McGeady's spin and turn against Aberdeen. This is often described as making a V-Shape on the ground when you pull the ball back. On the diagonal, or across your body, fake like your going to shoot as you put the sole of your foot on top of the ball and then roll the ball back and push the ball outside with the inside of your foot. For this move, change of pace is key. Jog slowly with the ball, usually when a defender is along side of you, stop for a second, and then burst past the defender. With the inside of the foot, cut the ball back behind your body. For example, when using your right foot to cut the ball back, plant your left foot to the side of the ball and then bring your right foot up to cut the ball back. Do the reverse if you are cutting the ball back with your left foot. This can often look like a fake shot. Dribbling away from a defender into space, you chop the ball back with the inside of the foot, then dribble off in that opposite direction. Start by dribbling the ball forward and plant your left foot near the ball as your right leg "winds-up" for a big kick or shot. Instead of shooting, however, bring the right foot down and "chop" the ball backwards and underneath your left leg. Watch the master do it in the 1974 World Cup. See how Cruyff sells the cut back with a wonderful fake cross. This move is more than just a cut. It's almost a sweeping motion with the ball. Dramatically sweeping the ball over to the other foot to sell a shot or make it look like you're going to shoot but dragging the ball to the other foot. Robin Van Persie does this move extremely well. Check out this move by Van Persie versus Inter Milan and then these cut backs that are very similar. Bringing the leg back like you‘re going to take a shot or make a pass can help buy you time, stop just in front of the ball. Cut the ball to the left or right to set yourself up for your next play. For example, you could be dribbling fast down the left side with your left foot, your body between the defender and the ball, trying to sell the fact that you want to get an opening to cross the ball. You would most likely look to swing in a cross with your left foot, but instead, you fake the cross and cut the ball inside past the defender just when they’re trying to block or get a touch on the cross. It’s a very subtle cut, done all in one motion, bringing the leg back to cross but deftly cutting the ball inside. If the cross or shot is not sold, you can then cut the ball back again to swing in the cross or take the shot. However, don’t get caught up in doing too many moves. The goal is to get the ball in the box and get a scoring opportunity, so make that your main target. Check out Ronaldo against Ghana in the 2006 World Cup. Watch how he beats the keeper with a beautiful step over move. Then there's Del Piero's one footed step over move that results in a goal. See how he keeps the ball close to him, dribbling with each step of the foot directly at the defender before he performs the move. The new master of the step over might just be Robinho, take a look his step over moves. Instead of bringing the foot from the inside to the outside like in the step over, with the reverse step over you bring the foot to the inside. For example, if the ball is on your right foot, bring the right foot up and over the ball to the inside and then take the ball away with the outside of the right foot. It's almost like you're faking a pass or a shot with the right foot, as you bring it up and over the ball and then take away with the outside of the foot. Again, accelerate after doing the all move as change of pace is key to beating a player with any move. If the defender doesn't go for the first step over, it's time to try the double. This time, take your right foot over the ball and then swing your left foot over the ball as well and take the ball away with the outside of your right foot. Take a look at how many step over moves Mancini does in this video. Ronaldo and Robiniho, both of Real Madrid and Brazil, are masters of this move. Catch a game of theirs to see this move done to perfection. As with all moves, the key is the change of pace after you do the move. In this case, it’s bringing your leg over the ball and then shooting off at speed past your defender. See Ronaldo's double step over moves. Sometimes called the inside outside move, this is where you fake like you’re going inside and then push the ball to the outside. With the inside of your foot on the ball, carry the ball a few touches to the inside a few steps (leaning to the inside), almost teasing the defender, and when you see that the defender is off balance or not ready, push the ball to the outside (with the outside of your foot). You then have more space to cross the ball, make a pass, or shoot. This time, use the outside of your feet. This is usually more difficult because you don't have as much control over the outside of your feet in terms of surface area, so make the dragging of the ball to the outside a little shorter in distance (not touching the ball too far away). Basically, this is the same as the previous move, “inside outside,” but starting with the outside of your foot. Dribble slowly at a defender and then feint with the shoulder, ducking or leaning your shoulder down a little bit one way, and taking off the other way. You want to try to get the defender on their heels, as though they’re going to fall down. One way to do this is to dribble dead on at them at a pretty good pace, then dip the shoulder one way and take off in the other direction, switching the ball to your other foot – the opposite direction to which you are faking with the shoulder. Make sure to touch the ball with each step as you’re dribbling at the defender. Keep the ball close to you. Pull the ball back with the bottom of your shoe and burst away with a change of pace. Watch the maestro, Juan Riquelme, use the sole of his foot to turn defenders inside and out. Push the ball in front of you and act like you're going to keep going forward, then turn back in the direction you came from and race away by putting your foot on top of the ball and stoppping. The idea is to burst away on the dribble at speed and then stop on a dime, throwing the defender off so you have time to cut inside or make a pass. This is a perfect move for when you feel the defender gaining on you and in a position to try to win the ball. That's when you put your foot on the ball and stop and turn and go in the other direction. Lift the ball over the defender's foot. This is usually done while feinting one way and then scooping the ball the other way just over the defender’s planted foot. After you lift the ball over the defender’s foot, make sure to take off with a burst of speed. Often, you want to scoop or lift the ball over the defender’s foot and to your other foot so your body will be between you and the defender after you make the move. For example, if you are dribbling with your right foot, scoop the ball over the defender's foot to your left foot. This move is also usually done when you are in an almost standing position and the defender is rushing at you. Essentially, you’re suckering the defender in and then lifting the ball over their foot as they come in towards you too fast. You then slip away by scooping the ball over their foot. Lean to one side and drag the ball along with you and invite the defender to try to take the ball. Carry the ball along as if you’re going to dart off with the ball at any moment. You'll see Andres Iniesta do this move a lot. He'll have the ball on the inside of his foot and carry it along tempting the defender to dive in and take it. For instance, if you have the ball on the inside of your right foot you'd dribble the ball along to the left waiting for the defender to try to win the ball, if they reach for the ball then you cut the ball back with the outside of your foot to the right. But many times the defender will just let you drag the ball along and into the space with the inside of your foot. Iniesta does this a lot when he's driving into the box. The moves gives you a lot of options: you can cut back, pass the ball off, or just keep going. Entice the defender to try to go for the ball by exposing it just a little bit. When the defender thinks they can steal it or when they make a move to go for the ball, cut the ball away and take off. Iniesta is a master of this, where he shows the ball to the defender a little bit but is always ready to cut the ball to the right or the left. He almost trys to sucker the defender into diving in so he can go past them. Again, change of pace is the key when beating a defender on the dribble and with this move. Once the defender dives in you accelerate away at speed. Put the ball between an opponent's legs, but which is much easier said than done. You can look brilliant when you're successful but also lose the ball quite easily and put your team in a bad position if you fail. This is a subtle move and should only be done on rare occasions. Do this move when your opponent is rushing in on you too fast or on their heels (when they least expect it). Take a look at how the pros do it by watching this video: the Nutmeg. This is really just a swivel of the hips where you stop for a second and then go again on the dribble. The player hops up on their back foot and fakes like they're going to pass or go back in the other direction but instead dribbles forward again. It's like you are going to cut the ball back with the inside of your non-dribbling foot. For instance, dribble forward a few yards with the ball on your right foot, and then act like you're going to cut the ball back with the inside of your left. It's a momentary fake like you're going back the other way. If you see the defender is coming to close you down too fast, touch the ball around the defender on the side and go around the other way. Take a look at Joseph Ngweny doing the move and scoring an amazing goal to boot. Or, if you're going at a defender at speed, and there's a lot of space behind the defender (who's flat footed or diving in) touch the ball around the defender and use your momentum and speed to catch up to the ball before the defender. For this move you swing the ball from one foot to the other. For instance, if you're dribbling with your left foot you'd quickly transfer the ball from the left foot to the right to beat a defender, as Messi does in the video below, not once but three times. The move is all about passing the ball from one foot to the other. Usually you'd use the inside of your foot to transfer the ball from one foot to the other. Once you pass the ball to your other foot, push the ball past the defender. Andres Iniesta, Messi's teammate at Barcelona, also likes to do this move. Here, Robinho, after doing a few step overs, entices the defender and then swings the ball to his left foot and goes by the defender by pushing the ball past him. He actually first pulls the ball back with the sole of his foot but then switches the ball with the inside of his right foot to the inside of his left foot. This is when you scoop, juggle, or flick the ball over a defender's head and keep possession of the ball. Take a look at Maldini or Robinho as they work the move on an opposing defender. Another wonder kid from Brazil, Kerlon Moura Souza (now 18), is known for his Seal Dribble. He can flick the ball from his foot onto his forehead in heavy traffic so that defenders can't get the ball from him. Start out slowly at first, as you always went to be in control, take two touches with your left foot and then step on the ball with the same foot and spin around as you touch the ball next with the right foot - using the bottom of your foot as you spin completely around to face forward again. This is more of a trick than a move, but it's often used to nutmeg someone when they least expect it. As with all moves and tricks, there's no harm in learning them, since they can often lead to another move and also just get you more comfortable on the soccer ball. This move is usually a cross with the standing foot behind the crossing leg. For example, iif the ball is on your left foot you'd fake like you're going to cross the ball with your standing right leg and then take the ball away on the dribble instead of crossing the ball. See Robinho and Vasquez do the rabona in a game. This is a fake pass, where you act like you're going to pull the ball back and pass the ball behind you with the inside of your foot but instead stop and flick the ball back the other way with the outside of your foot. Drag the ball between your legs and bring the back foot over the ball. This is a good move if you want to switch directions and go the other way on the dribble. Patrick Vieira, the former Arsenal midfielder, who now plays for Manchester City, uses the outside of his foot to cut the ball back and away from the defender. Watch how Vieira spins away from the pressure with the outside of his foot, using his body to protect the ball, and almost chopping the ball back in the other direction when he sees an open player to pass to. This is a move where you roll the ball across your body and away from the defender and then push the ball past them. This move can be done when in a standing position or if you're dribbling at a defender. When you roll your foot over the ball the defender might think you're going to pass the ball or just be frozen for a second and that's when you push the ball past them with your other foot. In addition to learning about all of the moves listed above, you also need to develop the skills that are necessary to execute them. These include the fundamental aspect of dribbling, from dribbling with both feet to the right or left, dribbling at speed, and controlling and shielding the ball.